For my recent west coast America tour, covering major cities in California State and a little of Nevada and Arizona, I fly with United Airline. 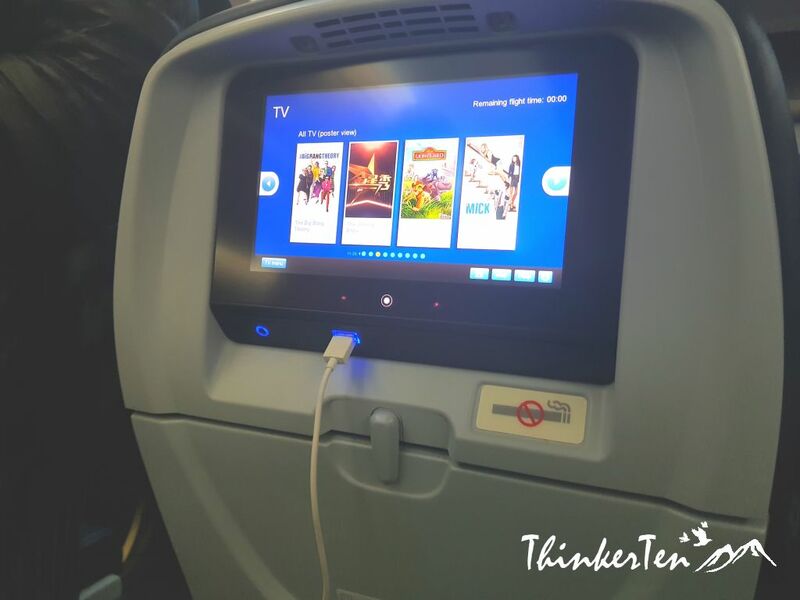 The good thing about UA is the flight is direct without any stopping from Singapore . Total hours is more than 17 hours. I bought the ticket about half a year before my departure during promotion sales, so I gotten a very good deal. 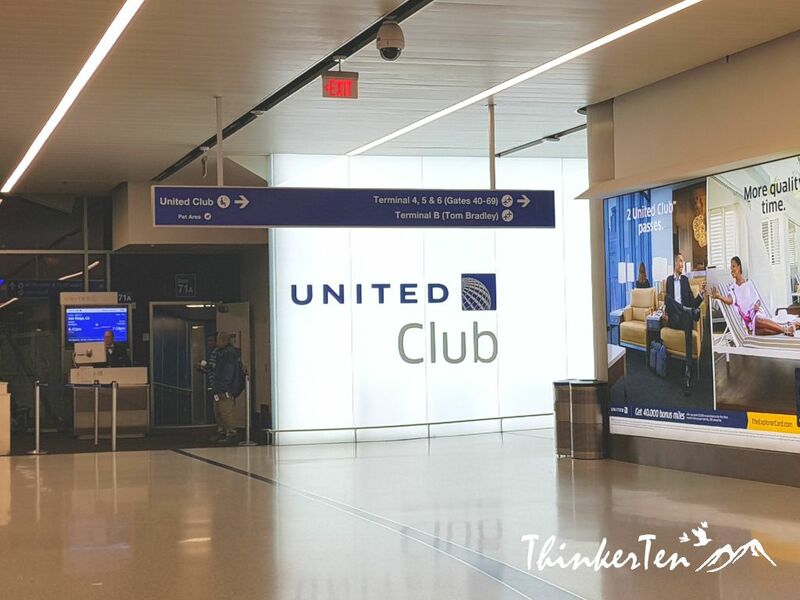 Lets look at the Lax Airport review then followed by United Airlines – Flight Review. There are in total 9 terminals in a general U-shape in LAX Airport. Terminal 7 is for United Airlines only. Lower level is the arrivals and the upper level is for Departure. If you are using the rental car shuttle bus for departure home, do inform the rental car shuttle bus driver which terminals you would like him to drop you at. Be prepared to stuck at traffic as LAX airport route is notorious for it traffic jam. My suggestion is to get to the airport at least an hour before the recommended minimum check in time. For international flights, usually the minimum check in time is 2-3 hours, you can check with the airline. 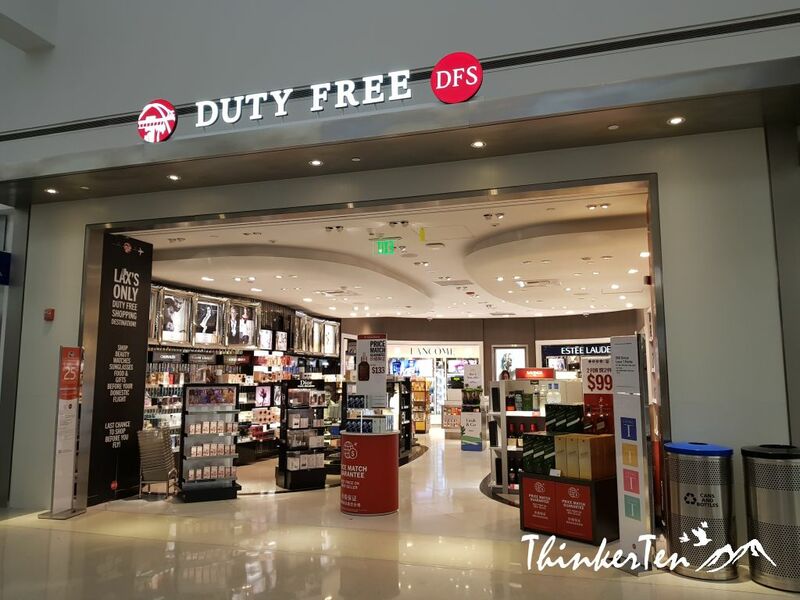 First do the self check in at the machines in front of the UA counter, then tag all your bags and queue for your turn for luggage check in at the counter. With the auto check in machines, there is no queue at all when I do the check in. 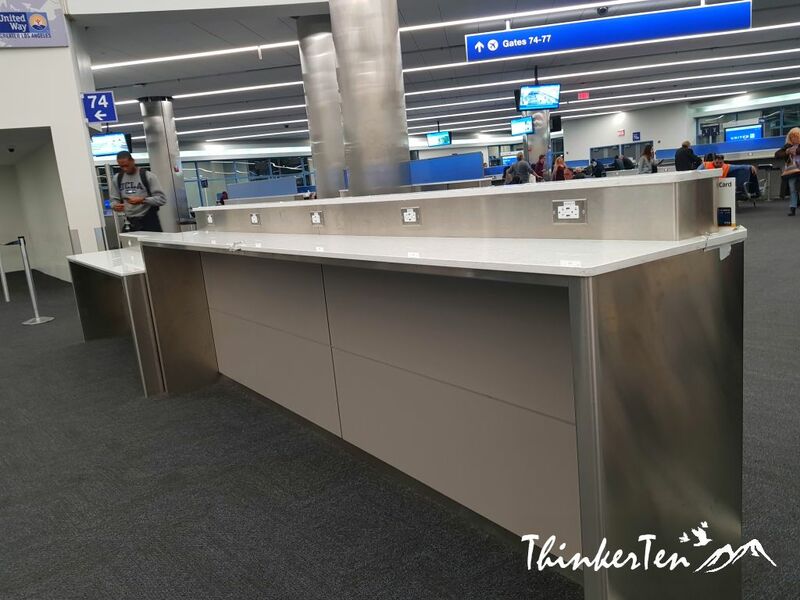 Once you have check in your luggage at the counter and gotten your boarding pass, I would suggest you immediately go for the second check – security checks. The security check in US is very strict, usual protocol include taking off boots, shoes, jackets, belts, watches. Put the keys and mobile phone on the tray provided. Computer and tablets also needed to take out from your hand carry bag and put them into the tray provided at the security checks. The queue is quite long, I have a good wait of 40 minutes. On very full flights and very busy days this alone could take more than an hour or more. If your flight are leaving soon, do tell the airport staff and they may let you go first. There are many eateries for you to choose from but they are not operating 24 hours. 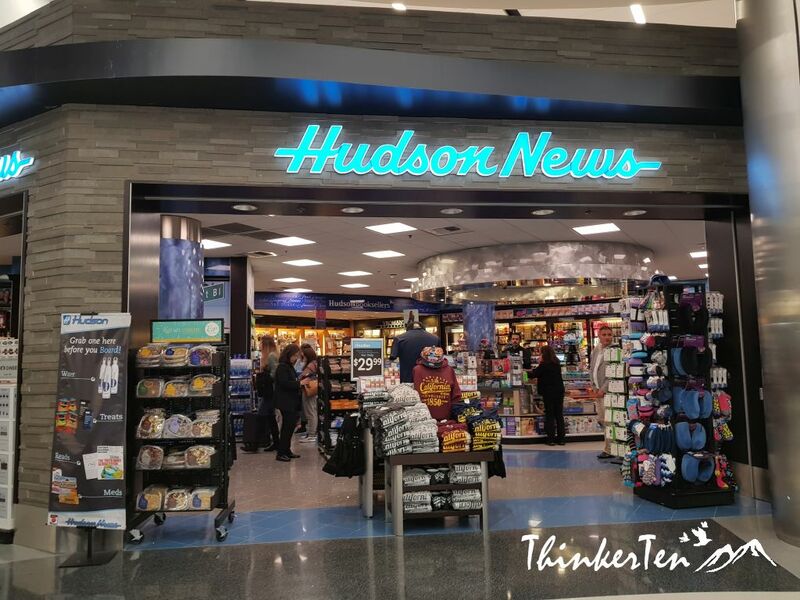 Hudson News -Mix of nationally recognized brands and quality local products sold here. 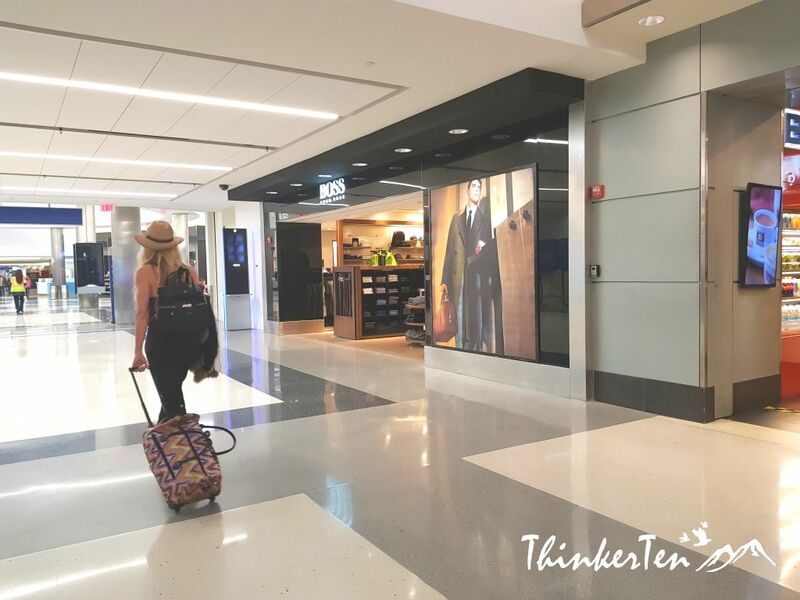 There are many spots to charge your portable electronic devices at the same time you can enjoy free Wi-Fi and stay connected while waiting for your flights. 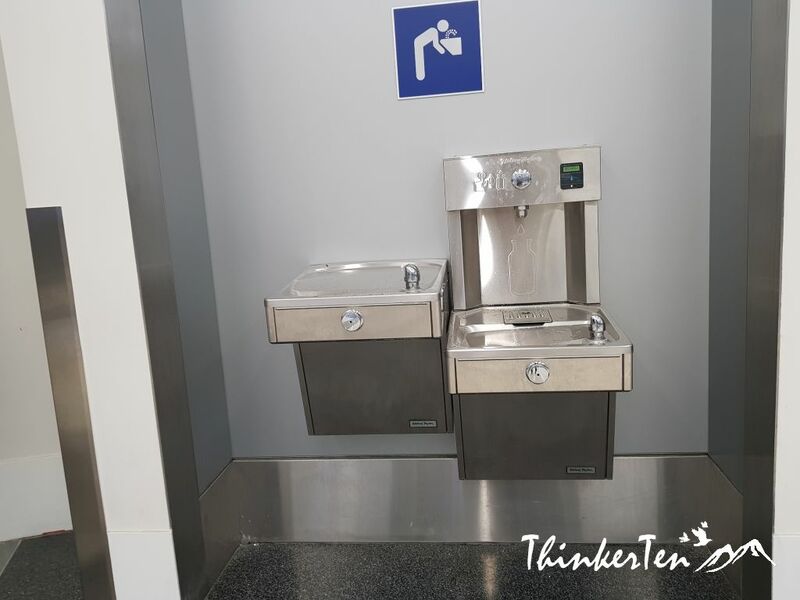 If you have an empty bottles, you can refill water here. 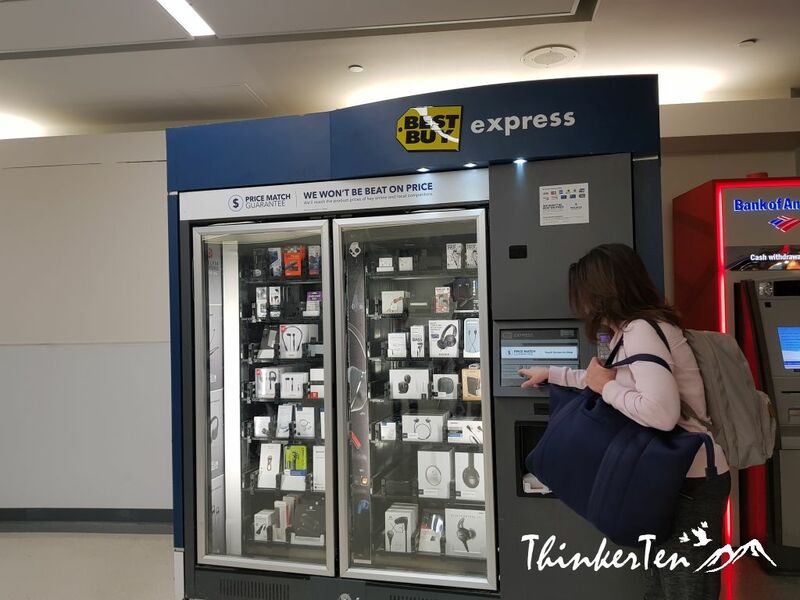 Vending machines for travel products such as headphones or smartphone battery packs. This is a direct flight from LAX (Los Angeles) – SIN ( Singapore). The nonstop flight at a distance of 14,000 km is the longest scheduled nonstop flight to or from US. The flight is Boeing 787-9 Dreamliner aircraft. We departed from Singapore 11 am and arriving at Lax airport at 10.15 am the same day. The return flgiht is UA37 which depart Los Angeles (LAX) at 8.55 pm and arriving in Singapore at 6.50 am two days later. Seats are comfortable, each seat come with a tv screen and blanket and small pillow. The seats arrangement is 3x3x3 in a row. At some point, the air in the aircraft is very cold even if you turn off your air conditional above you. So be prepared to bring along a warm jacket, socks and long comfy pants for this 17 hr 55 mins flight. 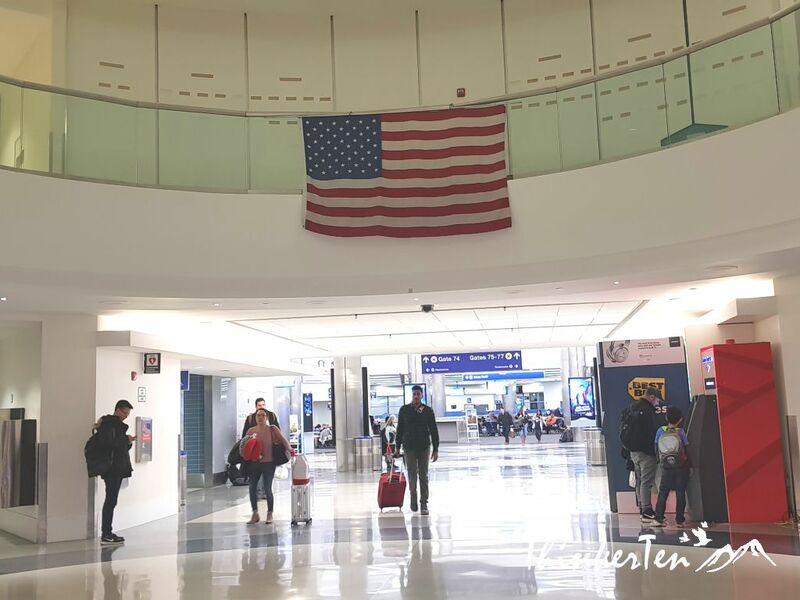 The traffic in LAX airport route is busy most of the time, so be prepared for the traffic and have ample time to reach the aiport. 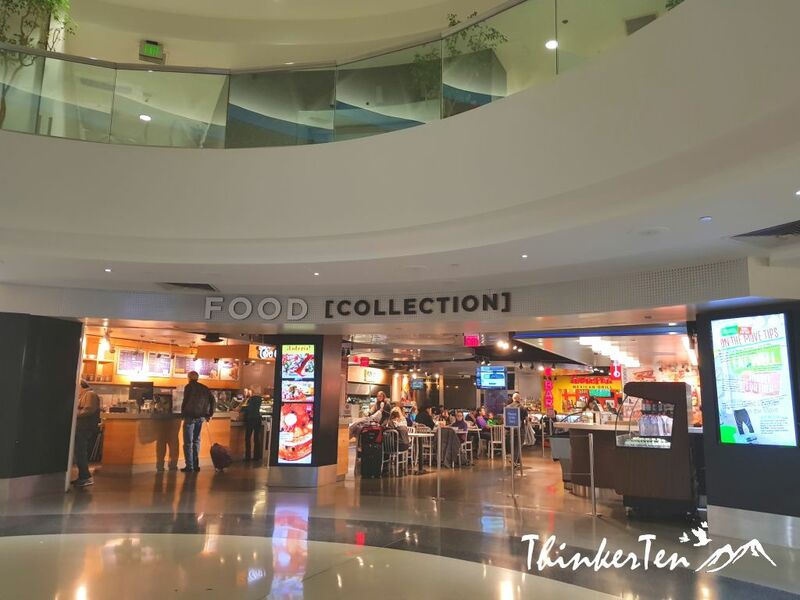 If you are checking in the LAX airport during usual hours, then you can dine at LAX airport after you have done your check in. 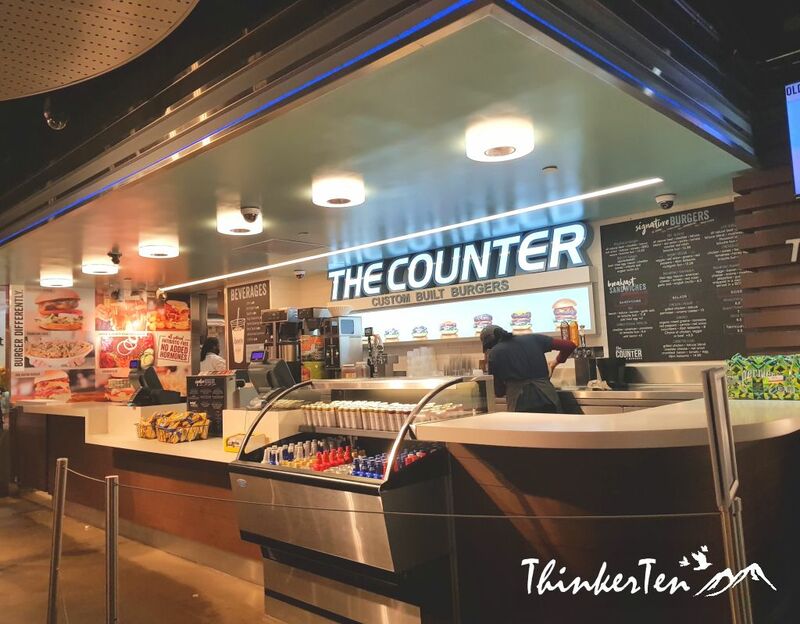 There are many eateries “inside the airport ” – ( after the second check in; the security checks) for you to choose from and the price is reasonable, similar to the price outside. Do not eateries inside the airport do not operate 24 hours, if outside the working hours, please bring along some snacks. My tips to you is go an hour earlier before the recommended minimum check in time, lets say check in time is 2 hours ahead, then arrive at the airport at least 3 hours ahead. The security checks can be very long and the wait is usually an hour for usual traffic. What I like about United Airline is nonstop flight which took about 18 hours. Meals & snacks served several times, enough to make you full but I won’t say is delicious, you know flight meal. Bring along a warm jacket as it get really cold after the flight flying for more than 10 hours, you will feel it. USA Self Drive Itinerary covering major cities in California, few cities in Nevada and Arizona. I have never been to LAX, but when I do go these are great tips. Thanks for your kind comment. I am glad you find these great tips. Wow! 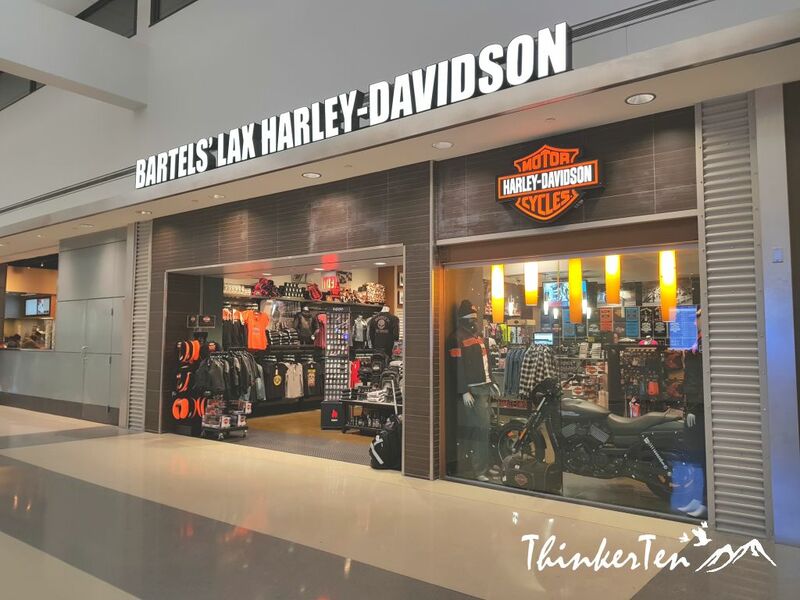 This looks like you’ve covered every corner of LAX! Yes, traffic is definitely insane but it’s also because there are a lot of International flights that go in and out of it. Great review overall and of United as well! Thanks for you kind comment. There are in total 8 terminals in LAX but I only cover terminal 7 which is for United Airlines. Hope you find my review useful. I just recently went on a 17 hour flight and I so agree with you about the need for a warm blanket. It is always good to be prepared as airplane temps can be unpredictable. Also, thanks for the tips about places to charge your devices at LAX. 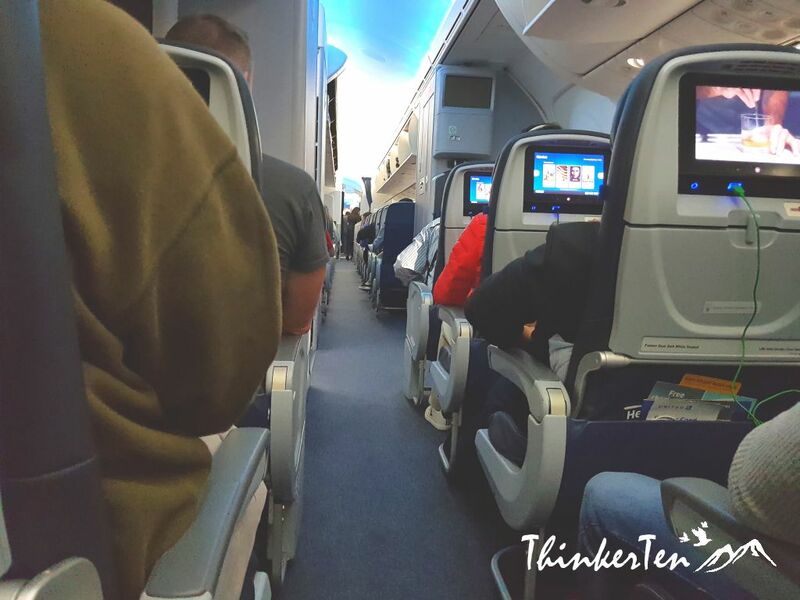 You are right about unpredictable temperature in the airlines when flying, especially long hours flights. Blankets itself sometimes is still not enough, so better bring along a warm jacket just in case. And the charge station is bascially everywhere in the airport terminal, quite amazing and I am pretty happy about this. I’m not sure my previous comment went through, so I’ll tell you again that I appreciate the review and if I ever go through LAX, I’ll take this into consideration. Thanks you so much in commenting here. I hope you find my review useful. What a great review of LAX and United. Will definitely come back hear for your tips before our next trip to LA. 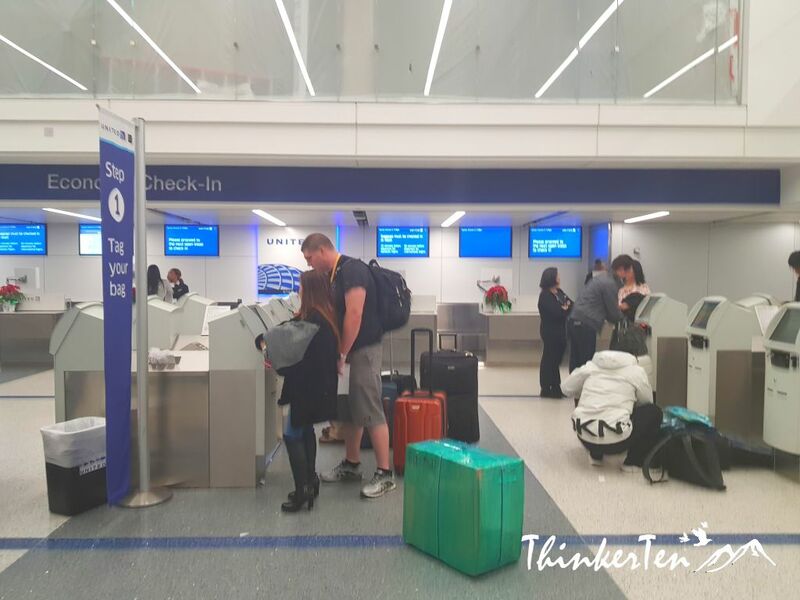 Such a great post you covered everything about it and what a great reminders for those who is going to have a flight this Airlines or Airport. Thanks for your compliment and comment. 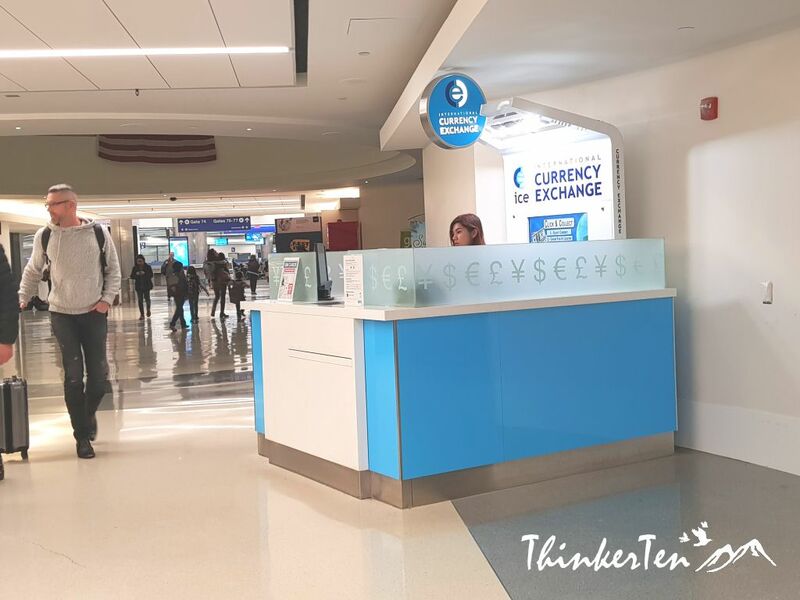 I hope this review and will help others and know what to expect when using this terminal in LAX. Wow. Terminal 7 and be big and comfortable airport . At Malaysia only two different terminal separately. Haha. Thanks for your comment. Yes, I have been to Malaysia airport too, it is also very huge and lots of shopping too! Thanks for your comment. One thing I like about this airport is variety of choice of food once you check in the airport and the price also cost similar with outside. So I strongly suggest travelers to check in immediately and then relax and enjoy their lunch or dinner/meals at the airport and wait for their flight. This is great to know! I think I’ll be taking a trip out to LA later this year and this is all really useful info. Thanks for sharing! Glad to hear that you are going to fly to LA this year and hope you enjoy your trip and have fun. Wonderful, detailed review and database for this airport. I may soon visit LA so this will be very useful. Some airports need to model themselves based on what we see here. Thanks for your kind comment. 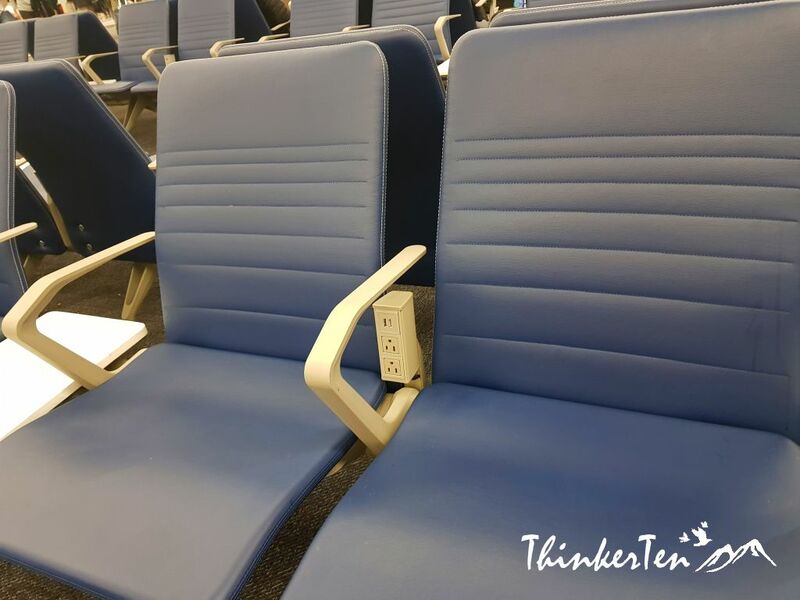 I do agree some airport do need to model LAX airport and have more charging station. After all, we are in the digital world and every traveler holds phone and tablets or laptop. All need charging in order to connect with family and friends. With all the shopping and eateries I’d probably miss my flight. I would expect traffic and lines, although, I wouldn’t expect to be so well connected. Even in the chairs. The flight being 18 hours is great for those who need it. The eateries is really awesome and offer good price too. I don’t have to worry there is nothing to eat inside the airport and it is not too overprice too. I wouldn’t mind a long layover at this airport! 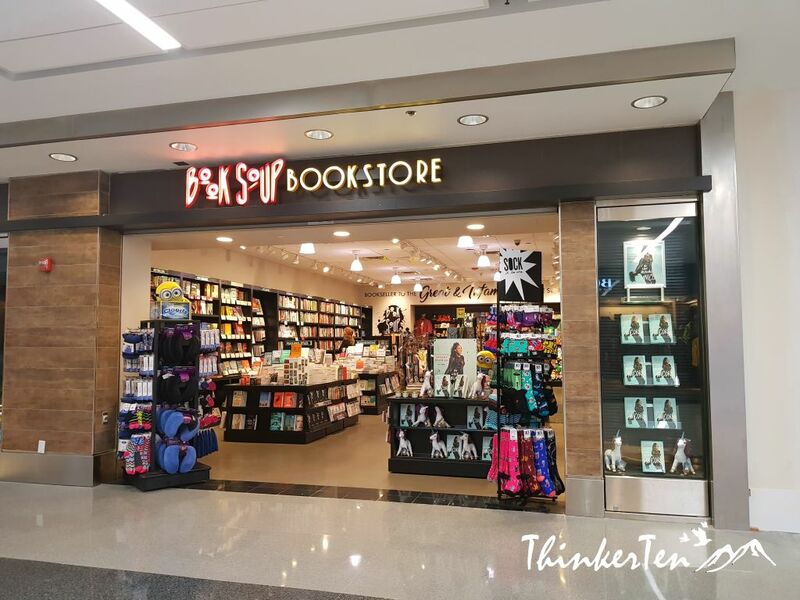 This place has tons of eating options and things to keep people busy while they’re at the airport. You are so right about it. 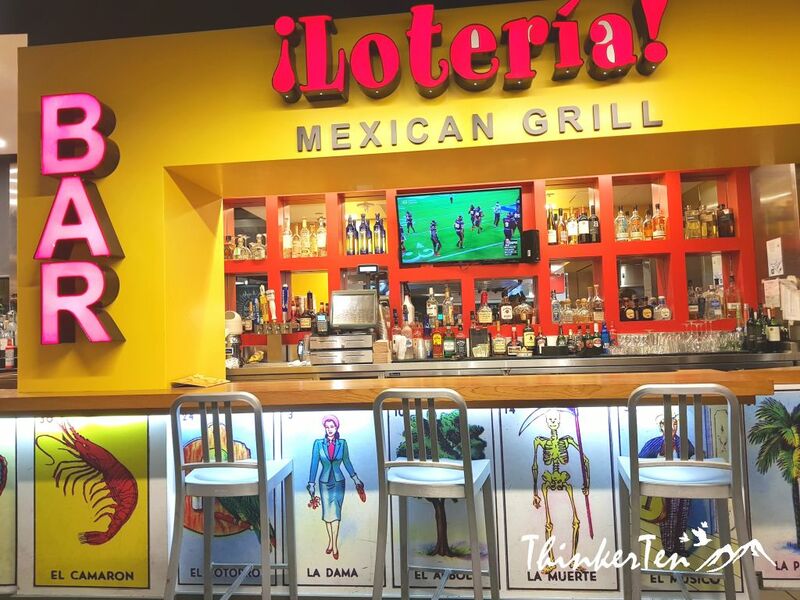 It is good to check in earlier and do some shopping or dinning inside the airport. Really thorough review! Looks like this is a good airline and airport to travel from! Thanks for all the great info! Thanks for your kind comment. Appreciate. It hardly seems like an airport atall and more like a mall. I wouldnt mind a few hours in this airport for sure. Apprciate your kind comment. I do agree it is good to be early and shop and dine after check in. That way we don’t have to panic and worried running out of time to rush for the flight. 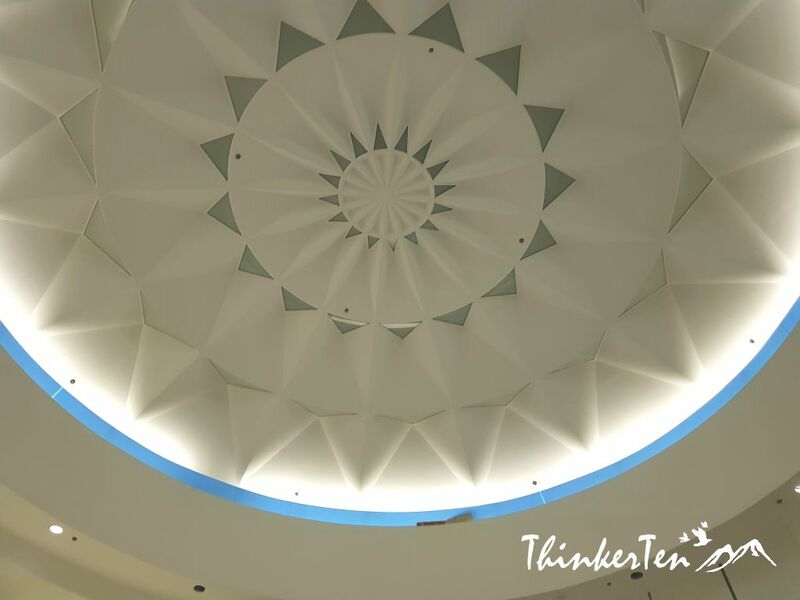 K – as I grew up in Los Angeles, the review of this terminal is nostalgic and very familiar. For those of us who travel a lot or who have traveled a lot, your photos look like a second home . Thanks for the details that you have provided. I am really delighted to see all the electrical outlets that are everywhere present. Bon voyage! I am show you are so familiar with LAX airport since you grew up here. Really appreciate your comment here. Great review, having traveled through LAX a few times I will deff agree that the traffic at LAX is insane!!! Traffic is one thing and the other is the security lines, it is so tight and caused long lines. It is better to be early rather than be sorry and miss the flight. LAX is such a busy airport. I don’t mind flying United though. What I like about United Airlines is their direct nonstop flight from Singapore to Los Angeles, to and from. It only started recently. I don’t like the the feeling of taking off and landing so I prefer direct flight if possible. I love LAX but it can be really frustrating there too. Almost booked a flight once that had a 45 minute connection there, really glad I didn’t! Dear Amanda,Sorry for your bad experience. 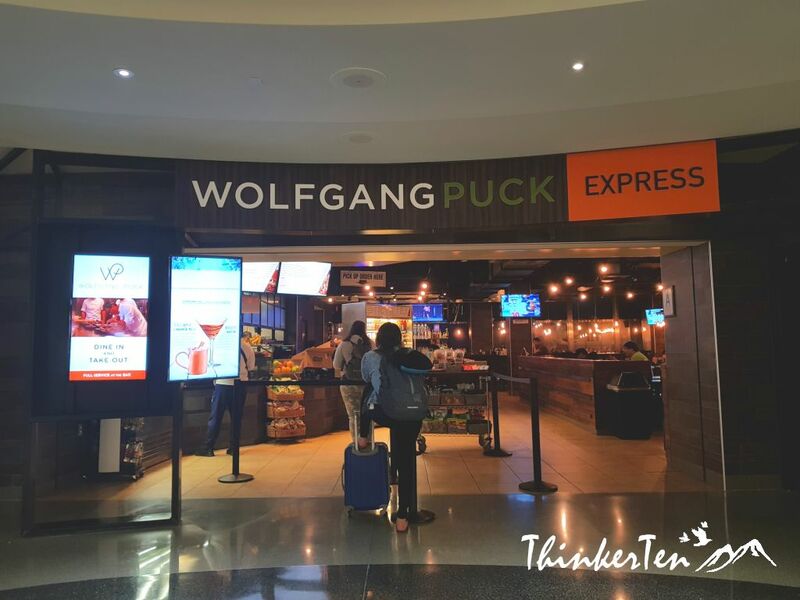 Ilove LAX – such a fun airport to explore and discover new things, and great food,too! Thanks for your comment. Glad you like LAX airport like I do. LAX is one of my local airports. It’s definitely got a lot of things to offer a traveler. All the outlets are making me happy! There are few shopping but I didn’t really explore much on shopping. I am glad you like the outlets there. Los Angeles Airport is really amazing. When I was there the staff are so good . Sounds great. Certainly lots of places to eat and shop! 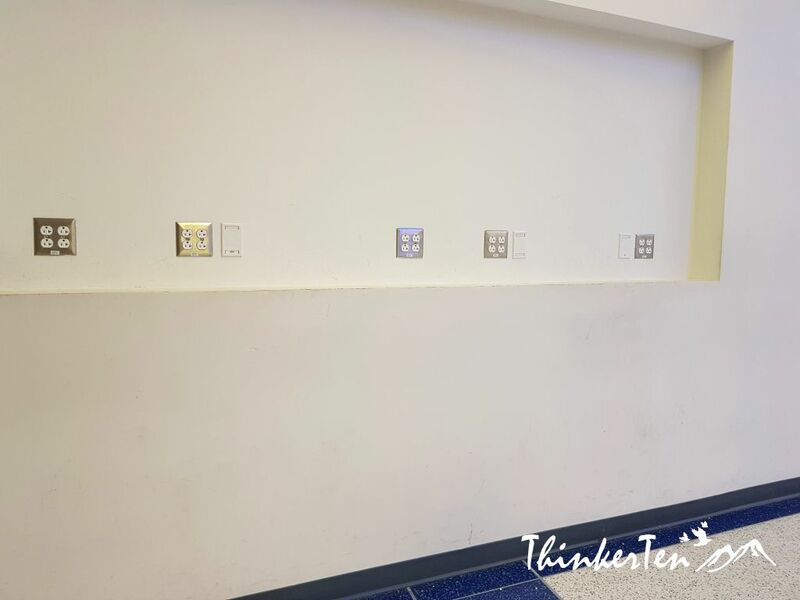 Love the wall with all the sockets! Thanks for you comment. I too love the wall and chairs with all the sockets. I don’t have to worry not having one for myself because there are basically everywhere. I love the fact that they have so much to offer! It’s really nice to see airports like this especially since traveling isn’t exactly relaxing. Good to know you have choices for food and shopping. You are right about airport. 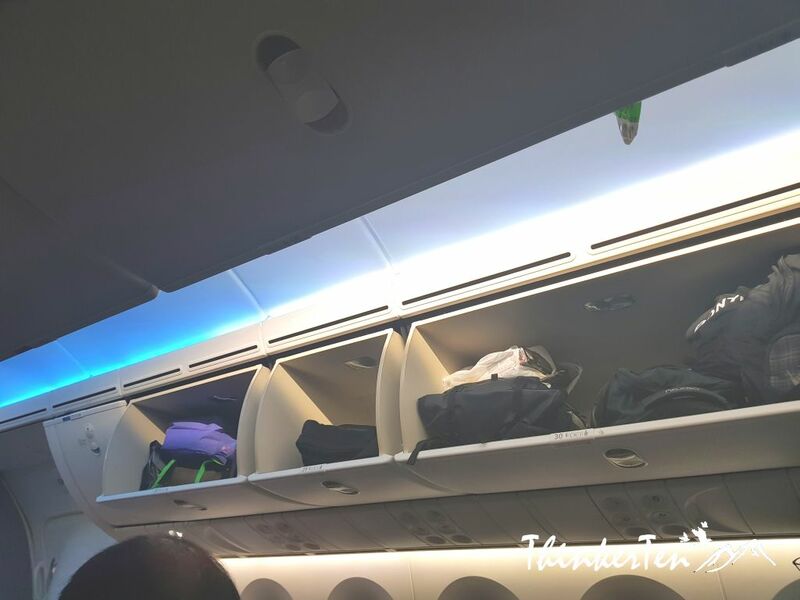 It is always very hectic and I hope this post will provide some basic information for travelers. The ultimate tips is, arrive early as the traffic may be harsh. 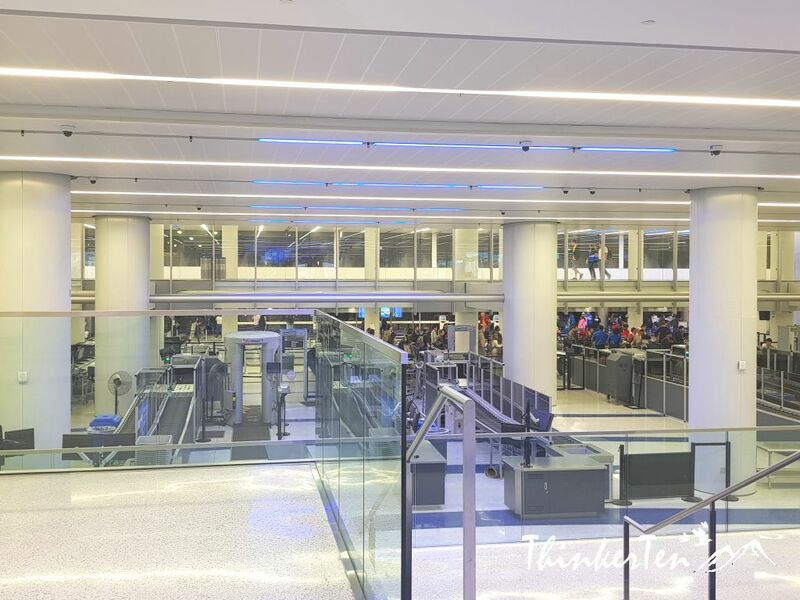 Check in immediately as the security lines can be very long and tight. 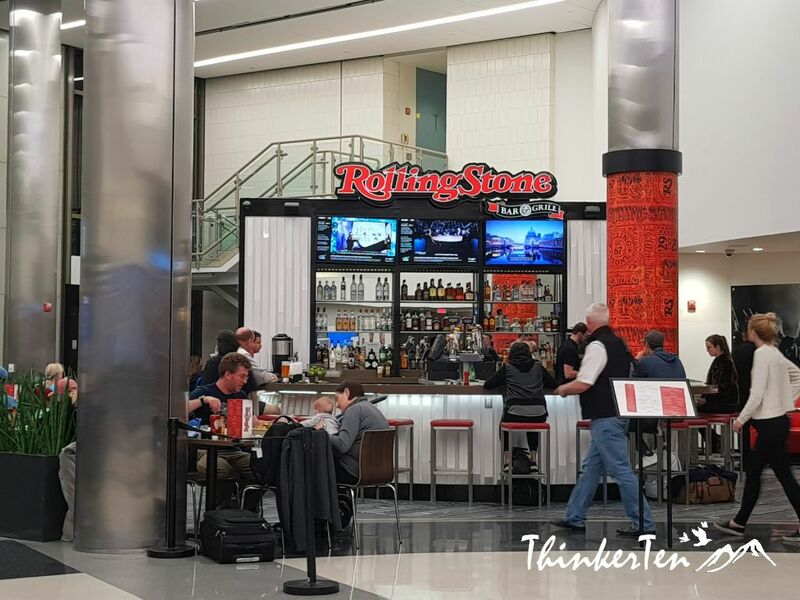 Then relax and enjoy your meals or have a drinks at the bar before boarding your flight.